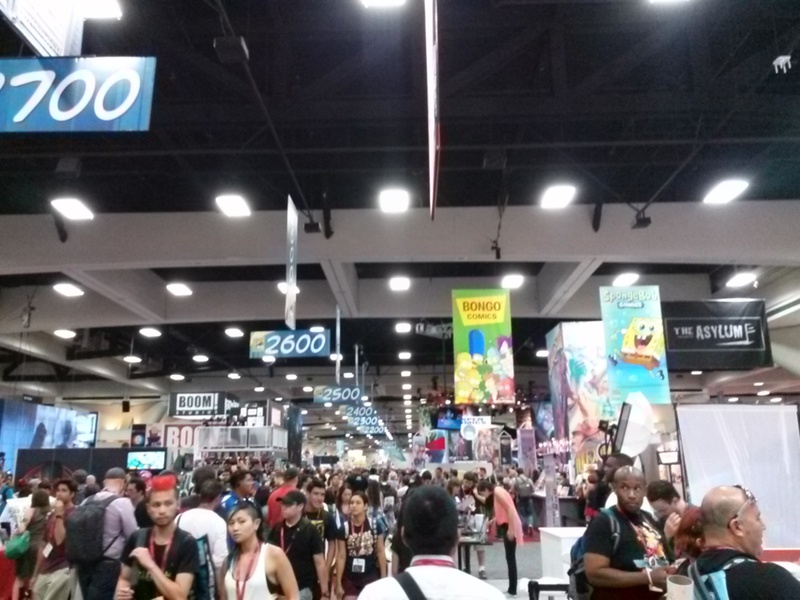 It was Day One at San Diego Comic Con and the crowds were assembled en masse for the event. 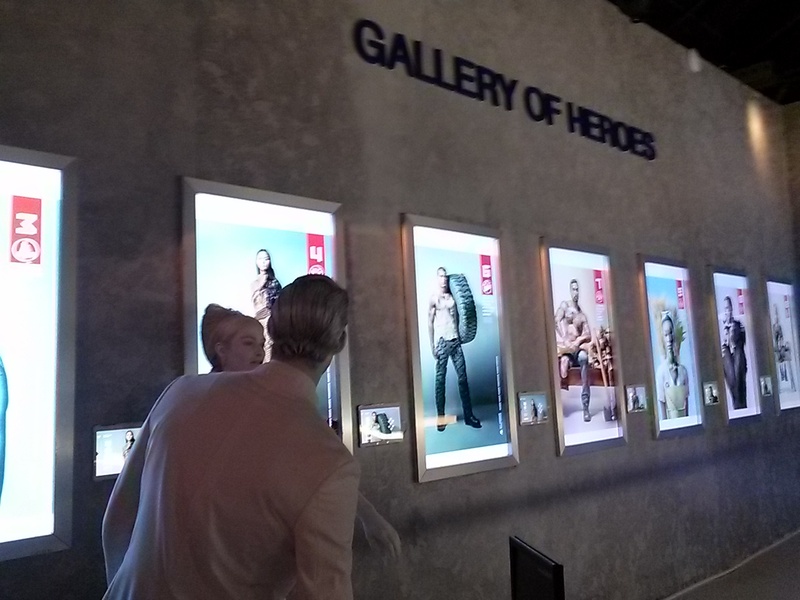 The hot ticket items at Hasbro sold out quickly and excited fans carried their huge bags with glee. 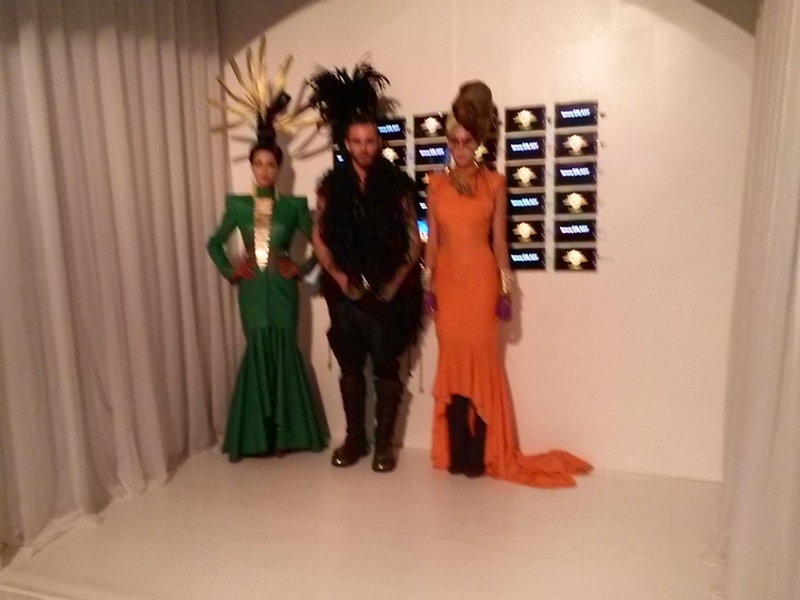 This year Lionsgate took The Hunger Games outside of the Convention Center. 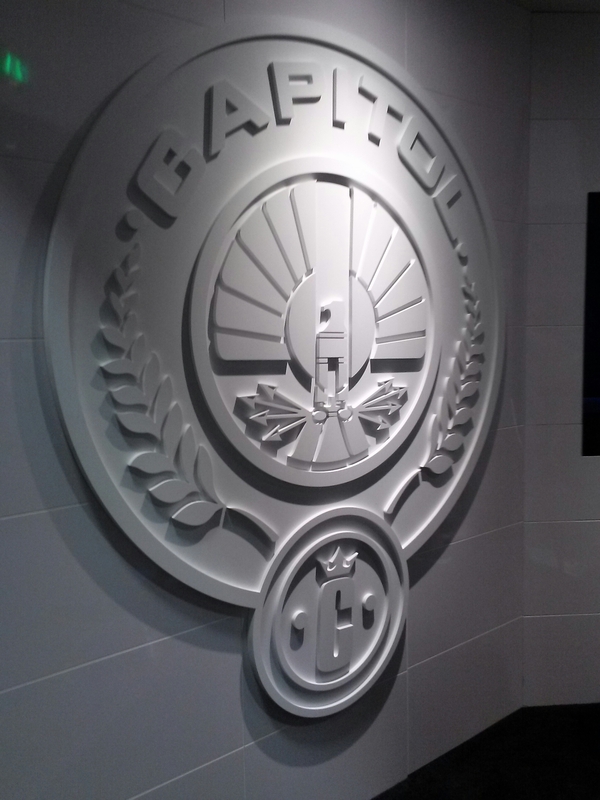 Last year there were too many people crowding the booths during the Mockingjay pin giveaway, so instead there was a cool photo op with Capitol guards and a few posters, but in order to get the pin you had to go across the street to the Hard Rock Hotel. After a two hour wait in line (during which time we got to see celebs like Adam West, Jeff Bridges, and the stars of Gotham leaving the hotel through the side entrance) we finally got to go inside. 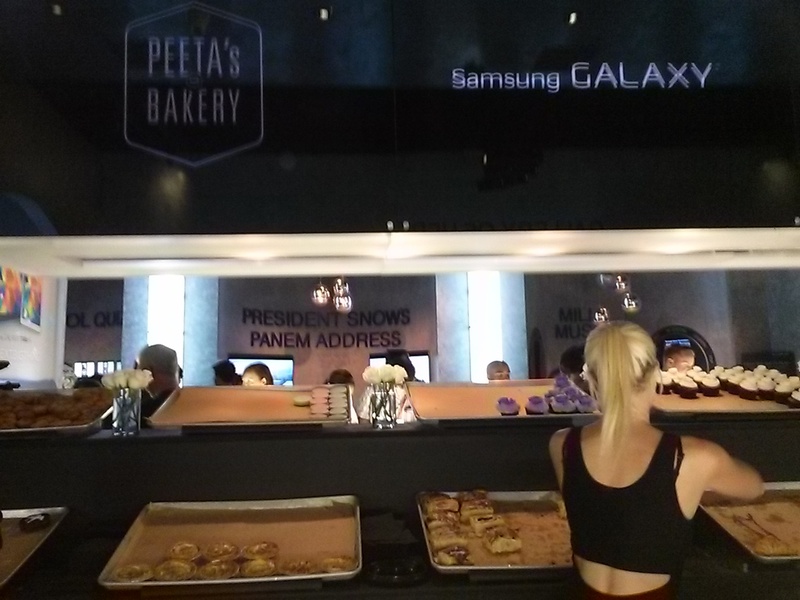 We got to choose a treat from Peeta’s Bakery and Haymitch’s Elixirs. 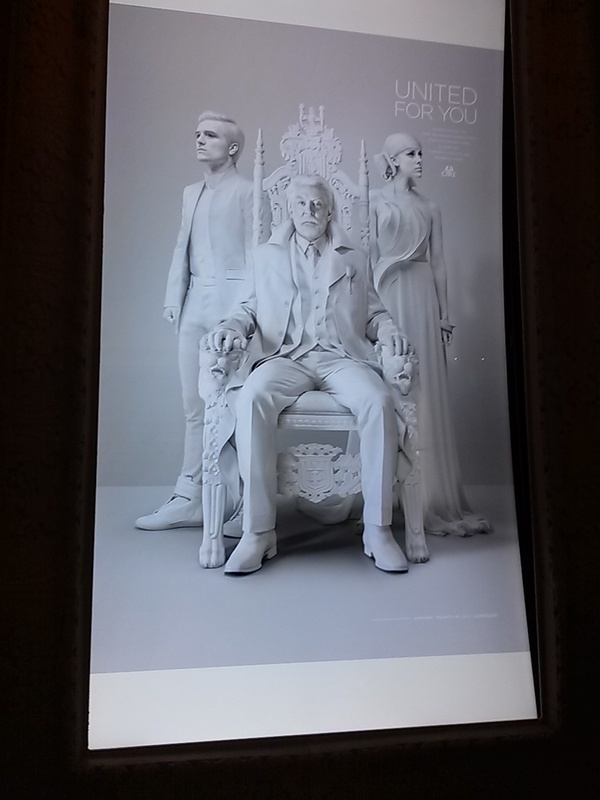 You could make a custom t-shirt or backpack, take the District Quiz (I’m District 5), and take a picture in the throne with a hologram image of Peeta and Johanna. It was well worth the wait. 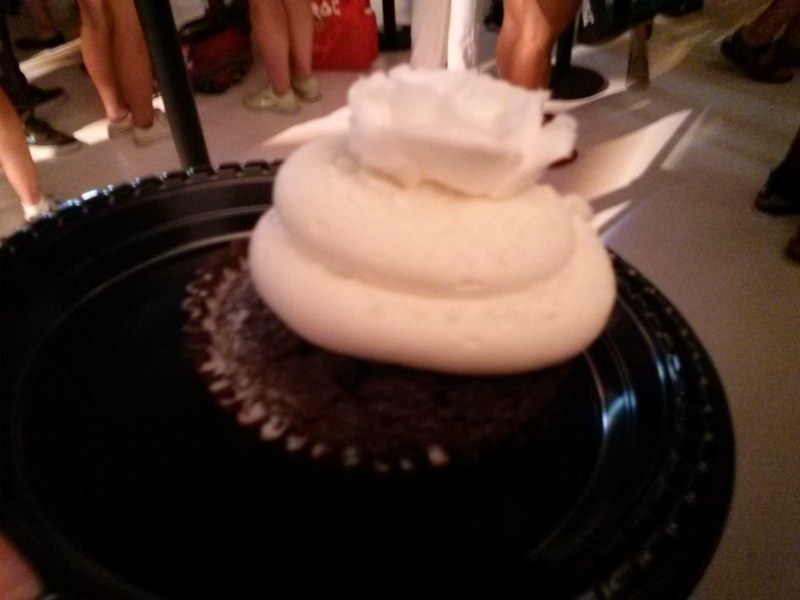 And the pin at the end was the icing on the cupcake….